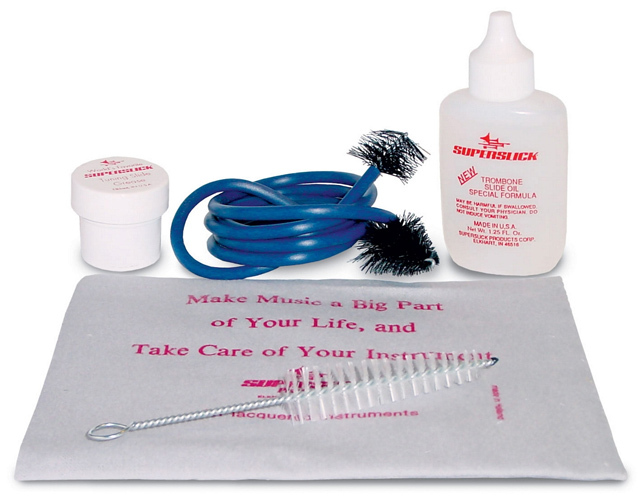 A perfect kit which contains all the items youll need to keep your trombone in top playing order! Happy with everything except the snake brush, one end of which came off inside the instrument on the second use! The oil & tuning slide cream are good quality and versatile.